I don’t know much about the Guardians of the Galaxy apart from that, at some point they’re due to cross into the world of Marvel’s Avengers — something that's been touched on in the blockbusting films already, what with the subtle references to cosmic cubes and infinity gems. Naturally, the Guardians are getting an entire film to themselves, the trailer of which landed yesterday, and overall it looks like a great deal of fun in a summer filled with back to back superhero films (Captain America The Winter Soldier, The Amazing Spider-man 2, X-Men Days of Future Past). 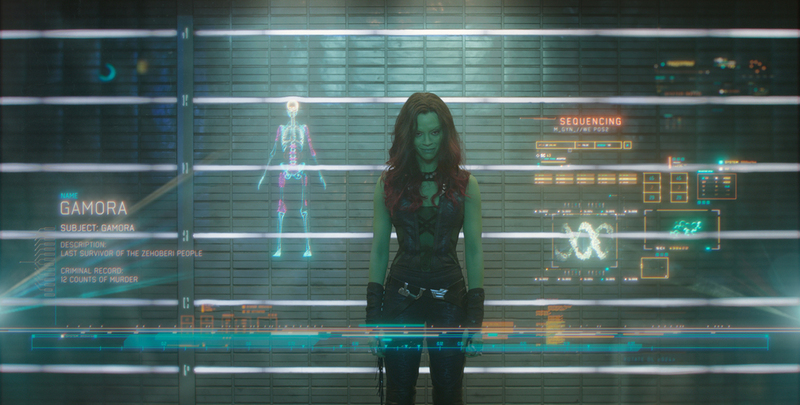 What makes the Guardians slightly different from the rest of the universe is that they’re mostly not human. So you have a talking raccoon (voiced by Bradley Cooper), and an absurd looking tree man (voiced by Vin Diesel) amongst others. I’m sure it will all look very convincing on screen, but whether these comedic characters will blend into the rather serious looking world of the Avengers is something I’m not entirely sure about (a gun wielding raccoon on the Hulk's shoulder?!). Still, I’m willing to give the studio the benefit of the doubt, and I'm pretty sure they know what they're doing and wouldn't intentionally botch up their most profitable franchise. From Marvel, the studio that brought you the global blockbuster franchises of Iron Man, Thor, Captain America and The Avengers, comes a new team — the Guardians of the Galaxy. 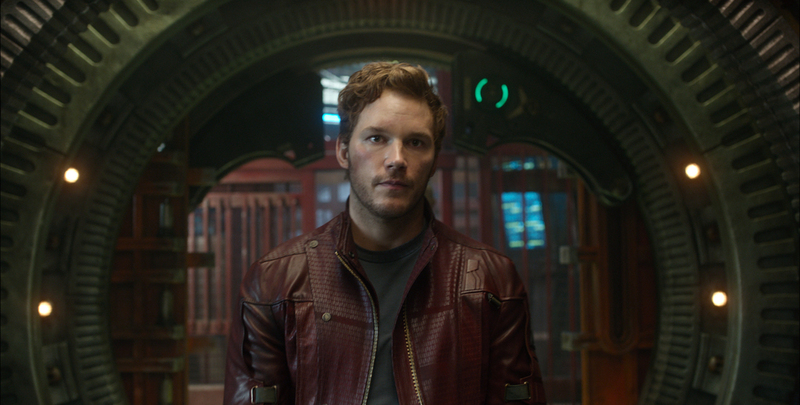 An action-packed, epic space adventure, Marvel’s Guardians of the Galaxy expands the Marvel Cinematic Universe into the cosmos, where brash adventurer Peter Quill finds himself the object of an unrelenting bounty hunt after stealing a mysterious orb coveted by Ronan, a powerful villain with ambitions that threaten the entire universe. To evade the ever-persistent Ronan, Quill is forced into an uneasy truce with a quartet of disparate misfits — Rocket, a gun-toting raccoon, Groot, a tree-like humanoid, the deadly and enigmatic Gamora and the revenge-driven Drax the Destroyer. But when Peter discovers the true power of the orb and the menace it poses to the cosmos, he must do his best to rally his ragtag rivals for a last, desperate stand — with the galaxy’s fate in the balance. 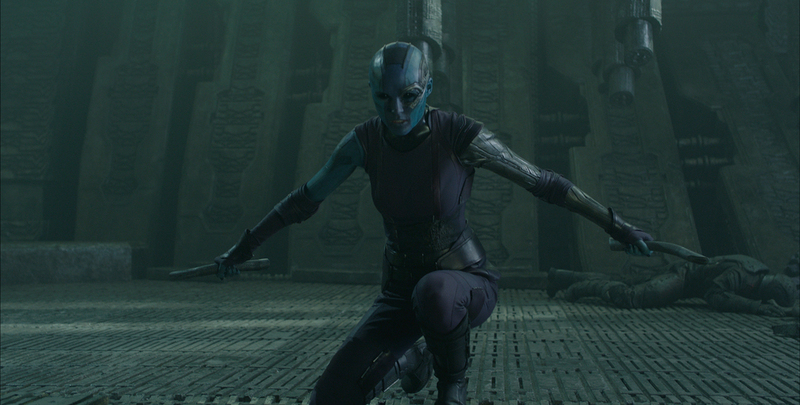 Marvel’s Guardians of the Galaxy is presented by Marvel Studios. Guardians of the Galaxy is directed by James Gunn and also stars Chris Pratt, Zoe Saldana, Glenn Close, Dave Bautista, John C. Reilly, Peter Serafinowicz, Lee Pace, and Benicio Del Toro, and hits theatres 1 August 2014 (US). 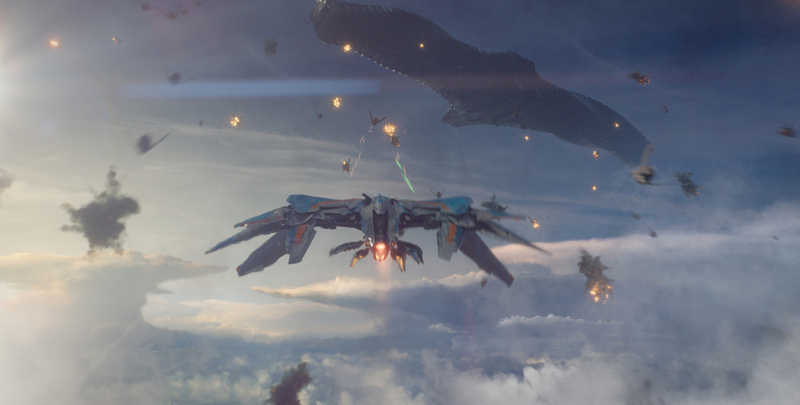 Are you looking forward to Guardians of the Galaxy? Let us know below. The first trailer of the sequel to the 2012 box office smash is here — and look's every bit as good as promised. Check it out right here! The Captain America 2 trailer has landed... and it's nothing short of epic! Check it out right here.